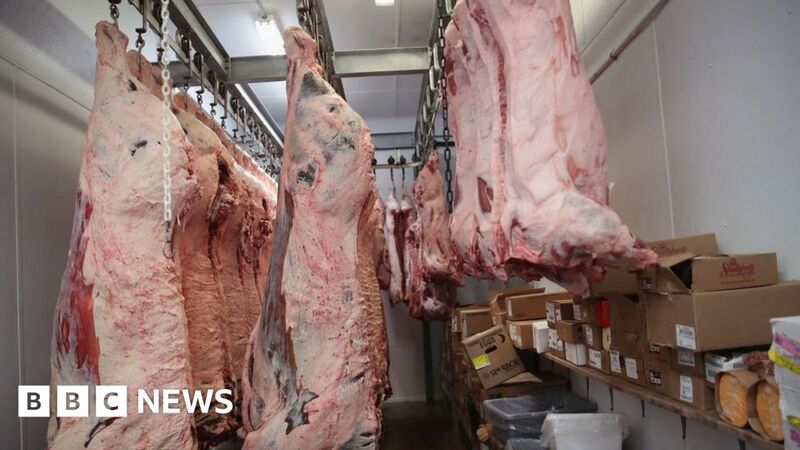 Fears over chlorine-washed chicken and hormone-fed beef are "myths", according to the US ambassador to the UK. In the Daily Telegraph, Woody Johnson urged the UK to embrace US farming methods after Washington published its objectives for a UK-US trade deal. EU rules currently limit US exports of certain food products, including chicken and beef - but Mr Johnson wants that to change in the UK after Brexit. Downing Street has repeatedly denied it will accept lower food standards. A No 10 spokeswoman said: "We have always been very clear that we will not lower our food standards as part of a future trading agreement." Mr Johnson, however, described warnings over US farming practices as "inflammatory and misleading" smears from "people with their own protectionist agenda". He also said the EU's "Museum of Agriculture" approach was not sustainable, adding: "American farmers are making a vital contribution to the rest of the world. Their efforts deserve to be recognised. "Instead, they are being dismissed with misleading scare-stories which only tell you half the story." On chlorine-washed chicken, Mr Johnson said the process was the same as that used by EU farmers to treat their fruit and vegetables. Describing it as a "public safety no-brainer", he insisted it was the most effective and economical way of dealing with "potentially lethal" bacteria such as salmonella and campylobacter. President of the UK's National Farmer's Union (NFU) Minette Batters said that while Mr Johnson was correct in saying chlorine-washed chicken and hormone-fed beef was "safe" to eat, there were other factors that needed considering. "The difference is welfare standards and environmental protection standards," she told BBC Radio 4's Today programme.